Host a free CraftJam. Bring in more business. Want to engage with new customers in memorable ways? Have a brick-and-mortar location that needs a boost? 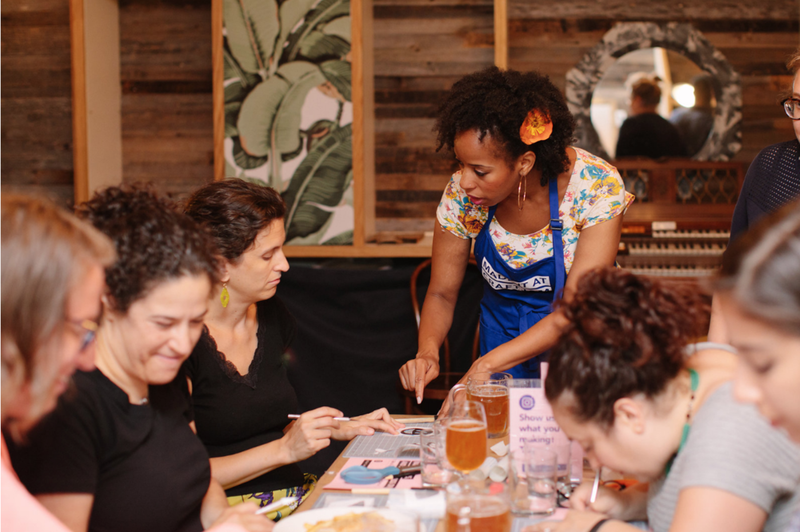 We’re CraftJam—an NYC-based team of crafters organizing creative workshops. We teach hands on skills, foster new connections, and turn spaces like yours into exciting social events. Our gatherings can adjust in size and skill level to make your space and customers feel the most comfortable. We provide all materials and supplies, and our certified teachers, called JamMasters, will ensure that every participant has an absolute blast. Interested? Have a look at some of our upcoming partner events! Ready to partner with CraftJam? Fill out the form below and we’ll get back to you ASAP! For more information about our program, check out our Partnership FAQs. Which CraftJam classes are you interested in? Why are you interested in hosting CraftJams?